And 2013’s Shadow Warrior by developer Flying Wild Hog offered a similar experience, with cocky protagonist Lo Wang fighting off a demonic invasion with his big arsenal of guns in what turned out to be one of the year’s best video games. Shadow Warrior itself was a remake of the earlier 1997 video game of the same name, and also drew attention due to its gory action and the fact that it featured some pretty good melee combat too (using Wang’s trusty pair of katanas) aside from the excellent gunplay. So fans of the 2013 hit were no doubt thrilled when game creators Flying Wild Hog announced that a Shadow Warrior sequel was in the works, and that it would be released sometime in 2016. And thankfully we now have a release date for the game, which will be available on PC on October 13 (a console release date is still pending though). Flying Wild Hog and publisher Devolver Digital also released a new trailer for the game highlighting Shadow Warrior 2’s bloody action, in which we see protagonist Lo Wang drag a monster’s corpse through a battlefield littered with dead bodies, before shooting an arrow at a man in a military uniform (presumably the game’s villain). 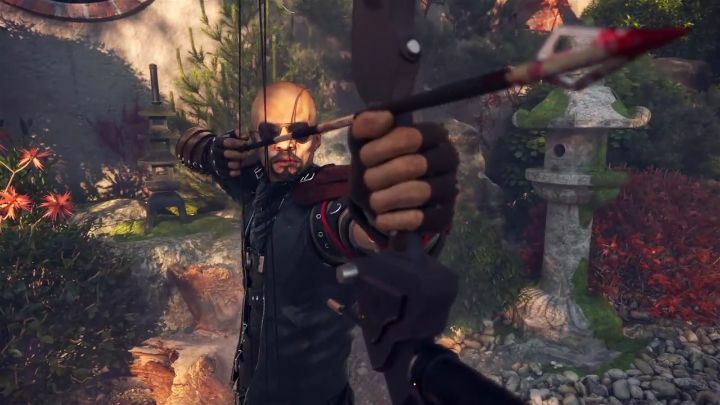 It’s a spectacular trailer no doubt, and if the game manages to play as well as the earlier 2013 game while looking as good as in an earlier gameplay video released this year, then Shadow Warrior fans are surely in for a treat when the game hits the shelves this October. Note: Shadow Warrior 2 will be released on October 13, 2016. Available on PC.